He adds that he went ahead “for an application based on the reduction of reactive energy in public buildings, sent to the National Energy Efficiency Fund, which provided co-financing for the installation of condenser batteries in several municipal buildings, a power correction system allows a rational use of the energy consumed, fulfilling some of the PAES goals “. In 2017, the installation of condenser batteries was carried out in five buildings, in this case the Funchal Marine Biology Station, the São João parking lot, located in the 2000 building, Autossilo do Campo da Barca, the Basic School of Help and the Basic School of the 1st Cycle with Lombo Segundo Preschool, in an investment of around 12 thousand euros. An investment that guarantees to CMF “an annual energy saving of around 16 thousand euros, and the installation of condenser batteries is also associated with the reduction of energy losses, guaranteeing a better use, increasing the useful life of the equipment and the reduction in the consumption of surplus reactive energy, which is charged to the municipality’s energy bill “. “Not only have we seen substantial savings in financial terms, but we have also seen great efficiency in terms of energy savings. 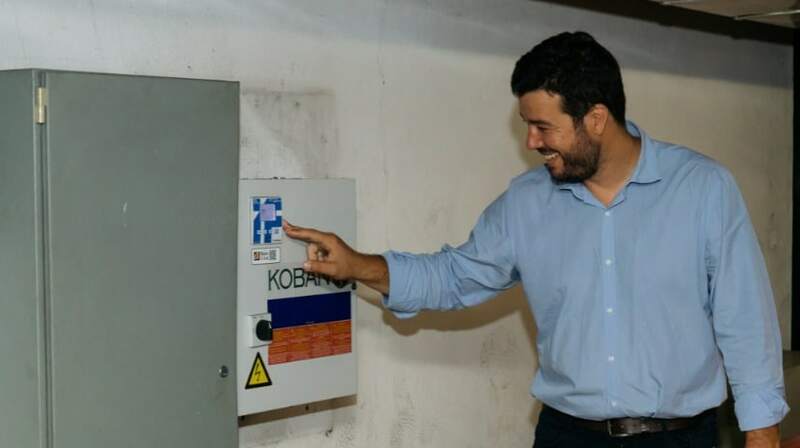 In this chapter, Autossilo de São João and Escola da Ajuda stand out, with savings rates above 90%, registering respectively 7600 euros and 2500 euros of annual savings in the account of light “, is another statement of the mayor .